Using a web proxy is not as useless as you think. It is not only to hide your identity but it was designed to help you. Web proxies are designed to enable you from unblocking websites such as Facebook, Youtube and a few more that are commonly set to prohibited from accessing by network administrators. You can also use country specific proxy such as uk proxy. How does web proxy work? In my experience, Whoer.net uses 10 different proxy servers that are only available once. So when you used proxy server to access a website, then get blocked, you need to use another proxy server. Does that make sense? But sometimes, web proxy cost varies depending on what service a user needs. There are readily available free Web proxy server companies but they may not provide reliable services. For those who run their businesses on the internet, they often opt to pay for a web proxy service which cost from $10 to $100 monthly, depending on the services clients need. Internet users need to keep in mind that web proxy services may differ in a lot of ways, they must know that there are the good ones and the bad ones. A hacker can intercept a user’s data when it travels with a lot of proxies and turn these data in its original format and will make it vulnerable and risk their privacy. A malicious proxy server are run by hackers, a user’s personal information, location, IP address and digital devices could be at risk of being breached. The worst that could happen is that this server records everything being sent to them, including log in details and passwords. There are a lot of advantages and disadvantages of using a web proxy, and this goes to any kind of technology. Web proxy helps users to protect vital information they share in the internet or websites they are visiting. It helps users to bypass blocked websites on their countries, offices, schools and any other organizations they are in. Users can easily access these blocked websites using a web proxy. 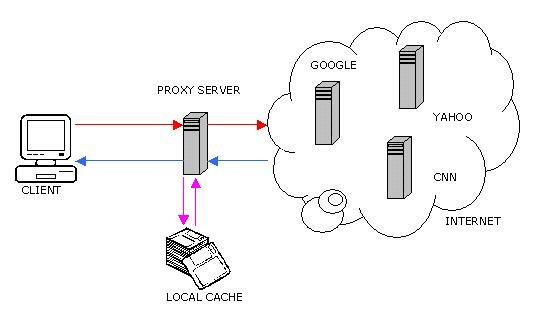 Web proxy can also be used to speed up browsing and accessing data through their cache system. A user can access their data in a web proxy’s cache system whenever and anywhere they want. Hackers are creative in intercepting data running into a web proxy, and through its cache system which stores user information, everything they share into a website can be used in wrong doings. Criminals are also using web proxy to do their illegal conduct and even sexual predators can lurk in a web proxy and therefore risk a user’s safety. Phishing is also present in using a web proxy, there are websites specifically designed to gather user information by resembling bank website and stole cash from the user. Internet users need to be aware of what benefits and harm it can bring them and prevent risking their personal information and keep in mind that any technology has its pros and cons. Users just need to take caution and use web proxy to their advantage. There are several types of web proxies you should be aware of. Each web proxy has a very interesting intent for anonymous browsing which makes them unique among the others. While each uses a different approach for anonymous surfing each has a very strong approach which makes them almost undetectable. Anonymous proxy – This type of proxy hides the original IP from the server being visited. However, it is recognized by the server being visited this is a proxy server. Transparent proxy – This type of proxy server identifies itself as a proxy server and also makes the original IP address available through the http headers. These are generally used for their ability to cache websites and do not effectively provide any anonymity to those who use them. Distorting proxy – This type of proxy server identifies itself as a proxy server, but make an incorrect original IP address available through the http headers. High anonymity proxy – This type of proxy server does not identify itself as a proxy server and does not make available the original IP address. You can unblock sites, surf anonymously and hide your IP for free. You can use and access anytime, anywhere, any place you want. You can see a lot of Ads any in part of the page.